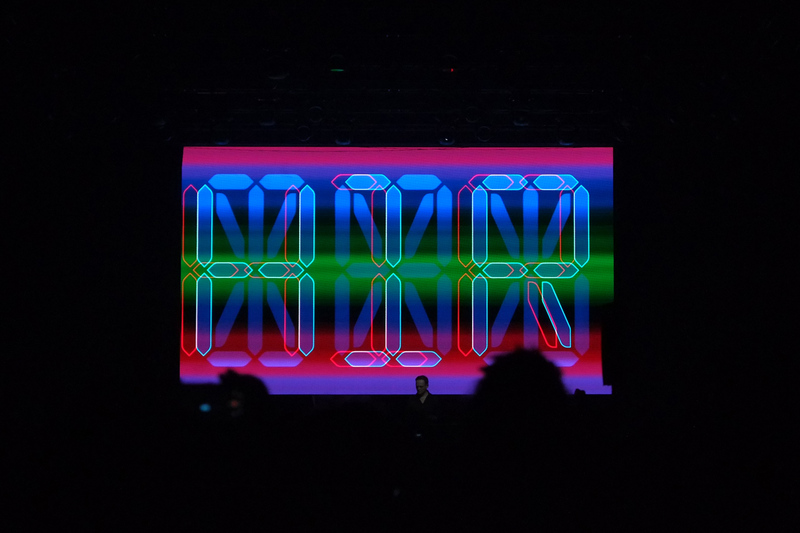 This year Sónar Festival celebrated its 25th anniversary in its birthplace, Barcelona. Always in step with current trends, the festival naturally focused on contemporary life, projected into the future, this year with 150 music performances, installations and events belonging to the younger offshoot section of the Festival: Sónar + D. The Festival was introduced by the launch of Sónar Calling GJ 273b, a pioneering project that combines music and science in an attempt to communicate with aliens, a research of live outside the Earth that is more and more pulsating. Another time, Sónar+D guided us behind the scenes to listen to and meet creators, artists, entrepreneurs, scientists and code designers. All these tackled hot topics of the day such as artificial intelligence, virtual and augmented reality, blockchains, the new internet and big data. Filmmaker Isaki Lacuesta presented his audio-visual manifesto, which aims to spread awareness of the limited freedom of the internet and the control and surveillance that occur nowadays on all communication channels. Meanwhile Edwin Van der Heide, who has always been interested in ambient projects, created a spectacular installation for Barcelona City Hall. 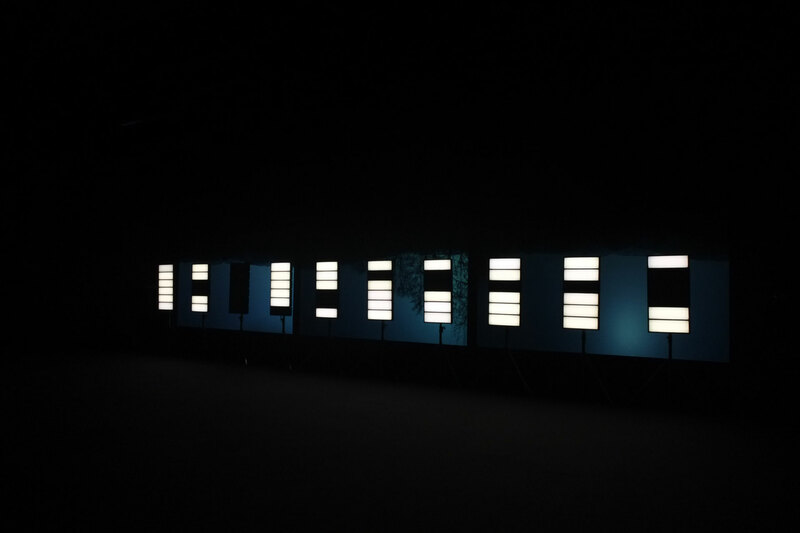 Chiasm, – as the project is entitled – places the visitor at the core of the work, immersed in generative interaction with sound, light and space. The concurrence and reciprocal interaction of image and sound today form the new frontiers of the contemporary. Sculpture extends to performative installations, like that of the Dutch artist. At Sónar this trend has been in evidence for some time. 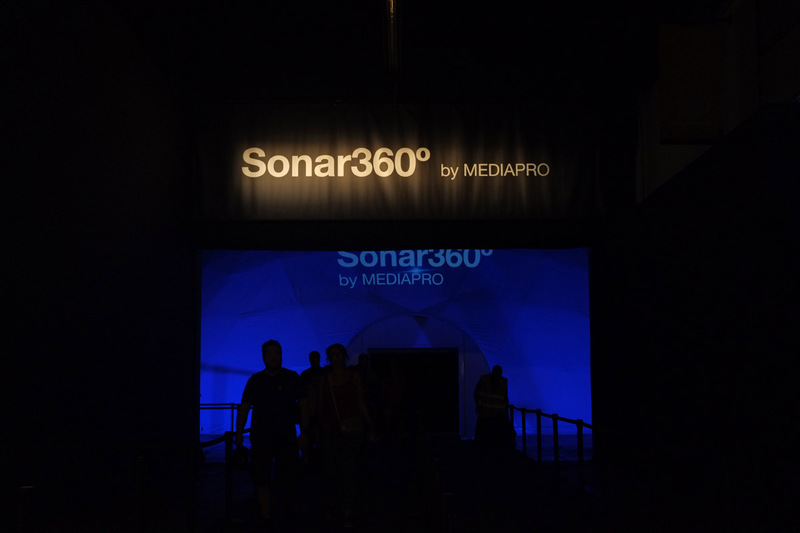 As the artists do their thing onstage, Sonar360º gives the audience an immersive view of the performance. While this technology has already been in use for some time, particularly interesting this year was its collaboration with Mediapro and the series of works created specially for the dome, like those of the Barcelona Onionlab studio, which specialises in video mapping and 3D virtual reality installations. Equally immersive was the acoustic experience of DESPACIO, a sound system consisting of seven speaker and amplifier towers arranged in a circle and presented at Sonar by Day. Thom Yorke, voice and soul of the band Radiohead, confirmed his status as a truly talented solo artist in the audio-visual sphere too, against the background of his musical expertise as composer and musician. 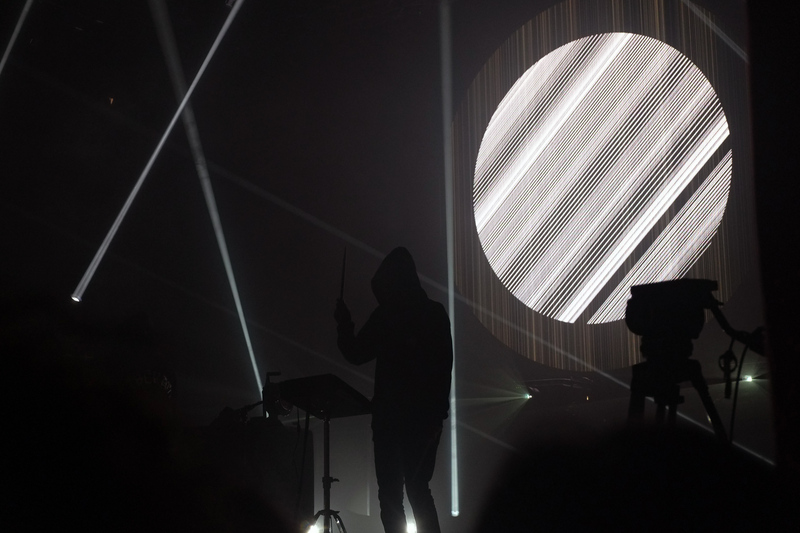 He appeared at Sónar in a collaboration with Nigel Godrich, producer of practically all the albums he has been involved with since 1997, and the multidisciplinary artist Tarik Barri, renowned for his programming of images and sound. Together the three created unprecedented audio-visual compositions. 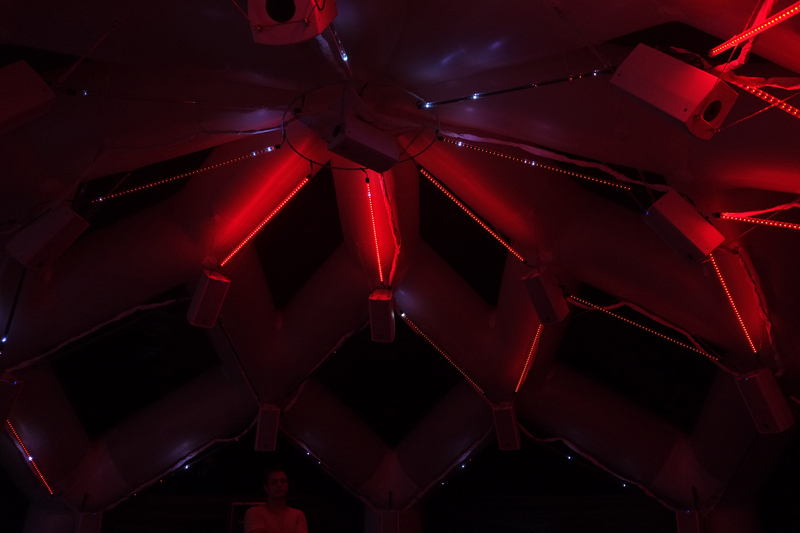 The Italian contribution to Sónar was hugely successful, with a performance by Liberato alongside ANTILIGHT by Quiet Ensemble, a light performance designed for the live event and first presented in November 2017 during the Club to Club Festival in Turin. Liberato, the Neapolitan rapper whose identity no one knows, brings to the stage only his voice or other elements such as the performance with Quiet Ensemble, which also involved light and space. 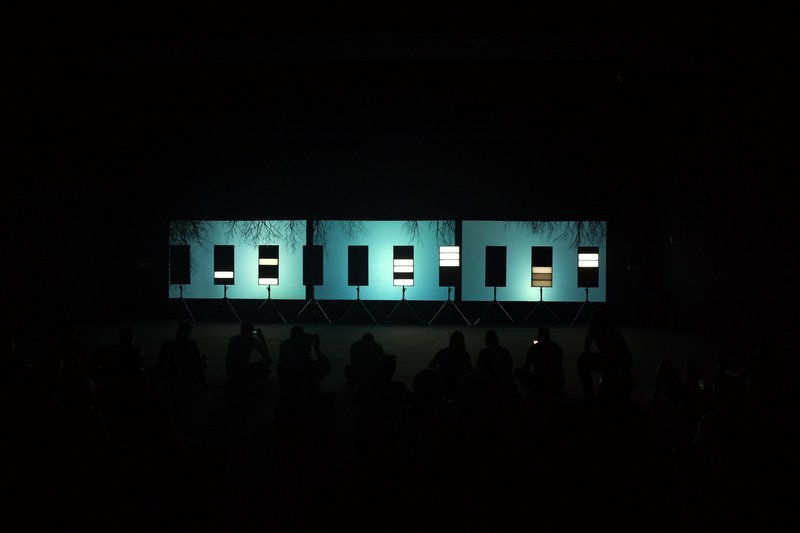 Quiet Ensemble is a duo founded in 2009 by Fabio di Salvo and Bernardo Vercelli with the aim of exploring and making perceptible everything that’s invisibly and casually hidden in the connections between humans, technology and nature. 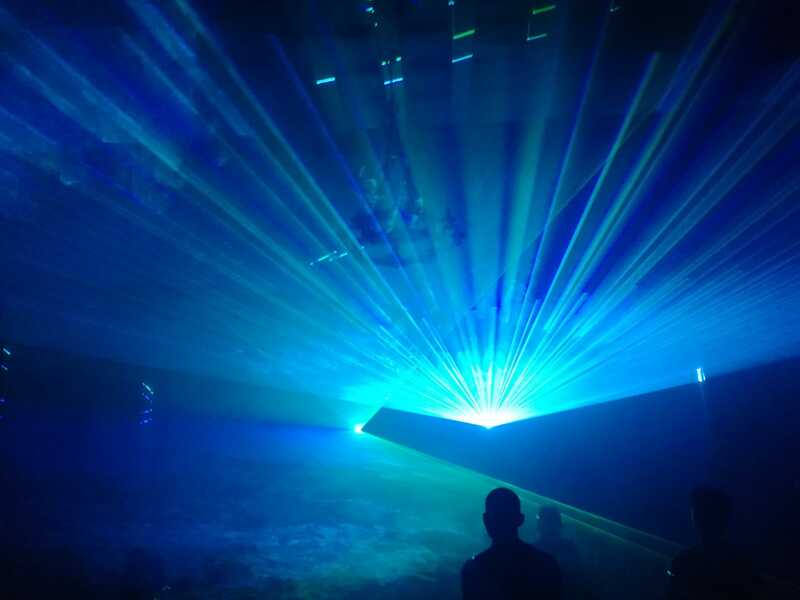 In ANTILIGHT, light was represented in its cosmic dimension and its nature as a generative element as a starting and re-staring point for the redefinition of space. 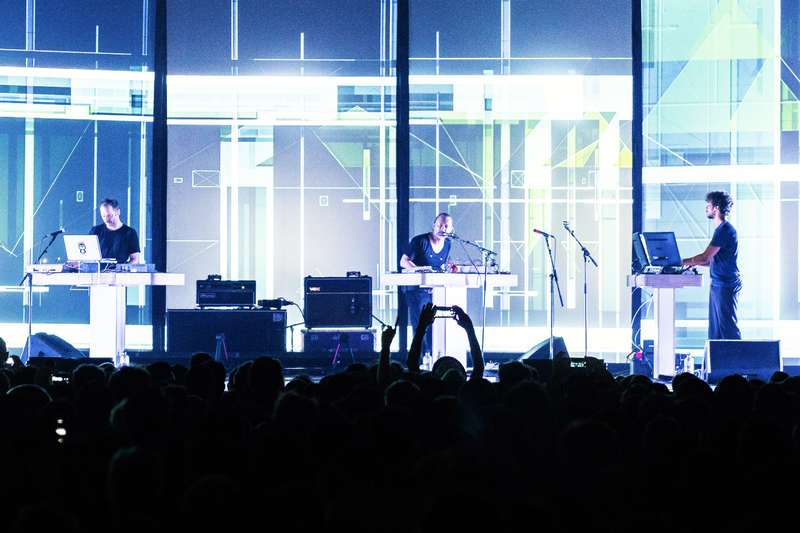 The festival’s closing performance was by German artist Alva Noto, aka Castern Nicolai, one of the leading names on the world scene for his audio-visual performances and his record label Noton, which merged with Frank Bretschneider and Olaf Bender’s Raster Music to form Raster-Noton (1999). 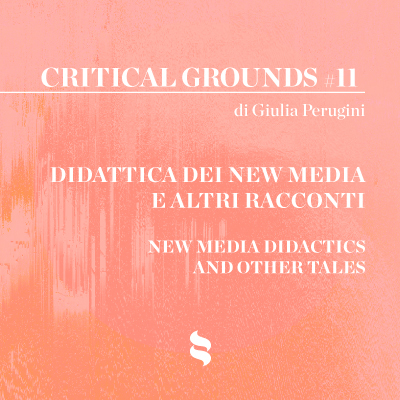 Until last year, the label was producing compositions inspired by musical styles such as IDM, glitch and rumorism, accompanied by videos depicting the sound. Nicolai is also known for his numerous inter-disciplinary collaborations with professionals from different backgrounds, in which his identity can be recognised in various pseudonyms: Opto, with Thomas Knak (Opiate), ø + Noto, with Mika Vainio, Cyclo, with Ryoji Ikeda. On this occasion he was onstage in the classic combination Alva Noto – Ryuichi Sakamoto in the fabulous atmosphere of the Teatre Grec open-air theatre, to present an original work they have been collaborating on recently, a preview of their new album Glass, based on a live improvisation in the Glass House, designed by American architect Philip Johnson in 1949. And this is how live work – which lives in the present – intertwines in terms of its interdisciplinary nature but also in physical space and the space of memory. This and much more places Sónar Festival ahead of times, being a privileged point of observation of contemporary society. Images: (cover 1-2) Sónar Calling – GJ273b. © Arshake. Photo: Cristian Rizzuti, 2018 (3) Edwin Van der Heide – Chiasm. @ Arshake. 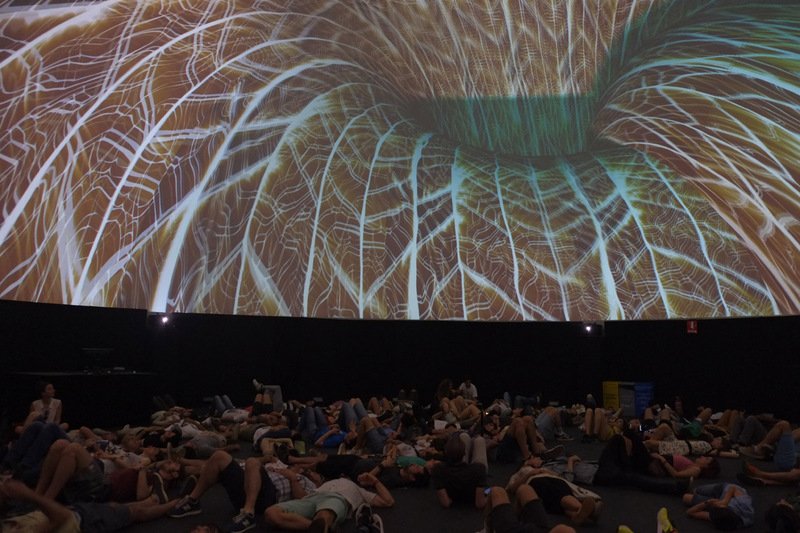 Photo: Cristian Rizzuti, 2018 (4-5) Sónar360° – © Arshake. Photo: Graziana Saccente, 2018 (6) SONAR+D – DESPACIO. ©Arshake. Photo: Graziana Saccente, 2018 (7) Thom Yorke – Nereacoll (8) SONAR18. 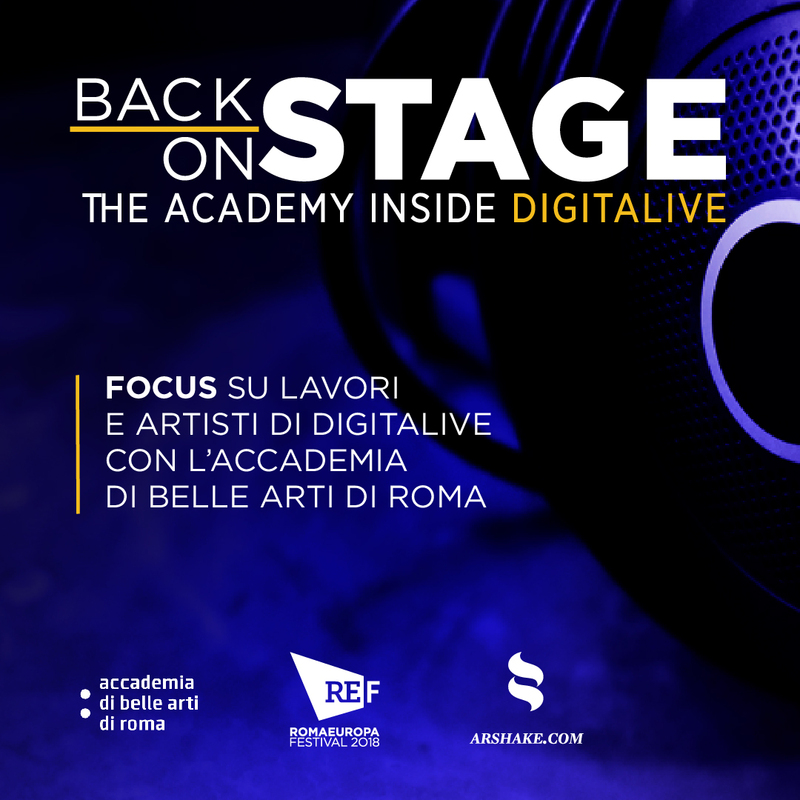 Liberato – Live Performance. © Arshake. Photo: Cristian Rizzuti, 2018 (9) Alva Noto – Live Performance. © Arshake. 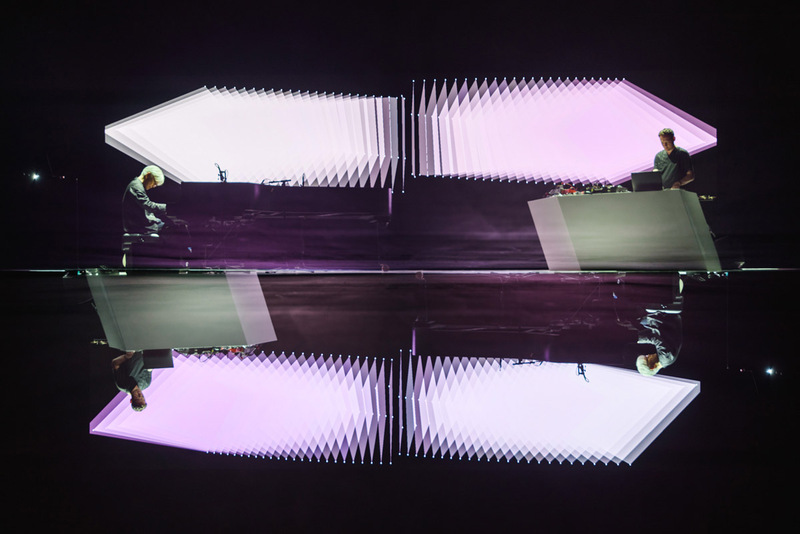 Photo: Cristian Rizzuti, 2018 (10) Sonar2018 – Alva Noto & Sakamoto – Ariel Martini.